We are proud to present the UK’s Leading Collection of Wedding Transport with a large proportion of these based in the beautiful county of Surrey, home of the famous Kew Gardens near Richmond and the elegant cathedral in Guildford. From the exclusive commuter belt towns of Woking, Reigate and Leatherhead to the grandeur of Epsom with it’s famous derby racecourse you will find some stunning wedding venues which constantly recommend our portfolio of wedding cars for those planning their ceremony in Surrey. 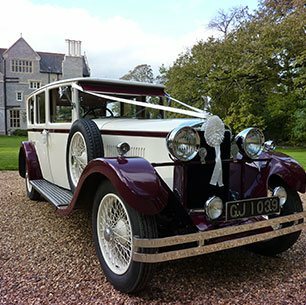 Whether it’s Vintage, Modern or Classic Wedding Cars you require to hire Premier Carriage has the finest collection of Wedding Cars Surrey can offer. Established in 1996 we have gained a wealth of experience and professionalism and with well over 12,000 weddings successfully completed are now recommended by many wedding venues in Surrey, photographers and wedding planners with our legendary service recognised by celebrities and heads of state. Our Classic and Vintage vehicles have starred in many major film and television roles and you may well recognise them. 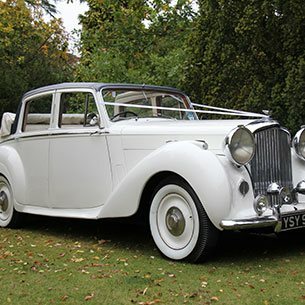 In addition to the county of Surrey our wedding cars are available in other southern counties of the UK. We are happy to arrange private appointments for you to view any vehicle. The cars shown on our website are the actual vehicles provided for your special day and come dressed with ribbons and all vehicles are chauffeur driven. Although our vehicles will travel long distances and across counties to reach your Surrey wedding and our prices are amongst the most competitive in the industry, to keep your Wedding Car Hire costs as low as possible when browsing through our portfolio look for Wedding Transport based in Surrey, but do also check vehicles from close neighbouring counties such as Kent, Middlesex, London and Hampshire. 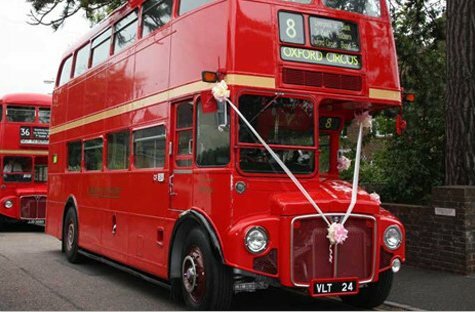 Whether you are looking to transport the Bride & Groom in one of our classic or vintage cars or all of the bridal party in one of our buses, or maybe keeping to a fixed budget is the priority we aim to make your special day classic and one to remember with the car being the transport of your dreams. Our attention to detail and our outstanding customer service has made us the leader in Wedding Car planning. 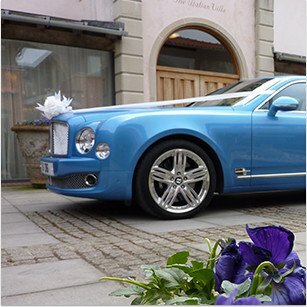 Choose the premier wedding car for hire service and let us show you why we’re Premier.